Michael has been involved in nearly $50 million in sales. Michael is the recipient of the 2013 Greater Capital Area Association of Realtors Rookie of the Year Award. Michael’s guiding principle in real estate is fun. Since moving to D.C. in 2003, he has developed a deep, contagious love of the city and a commitment to helping his clients enjoy real estate as much as he does. With almost $50 million in sales in a variety of neighborhoods, Michael is poised to help clients buy and sell throughout D.C., Virginia, and Maryland. In 2015, Michael joined Compass to combine his passion for customer service with the best technology to serve his clients. Michael launched his real estate career with a bang, winning the 2013 Greater Capital Area Association of Realtors Rookie of the Year Award for his business success and contributions to the community. Before real estate, Michael spent over 10 years cultivating his negotiation and sales skills while building elite teams of salespeople at high-profile companies, including Apple and Pottery Barn. 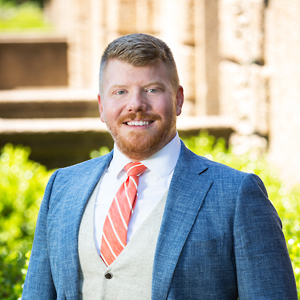 In 2016, Michael was recognized by The Washington Blade readers as “Best of Gay DC - Best Realtor” and in 2017, as his business grew, he founded The Fowler Group. As a resident of the Meridian Hill neighborhood, Michael works closely with the Meridian Hill Neighborhood Association. He also serves as Chairman of the Board of Directors of The DC Center for the LGBT Community and he is on the Executive Committee for the Lupus Foundation of America DMV's Annual Gala. Michael prides himself in giving back to his community and serves in a variety of roles for numerous other charities and causes. As part of his commitment to the community and the real estate industry, Michael serves on the DC Association of Realtors Board of Directors and the National Association of Realtors Membership Policy and Board Jurisdiction Committee. Michael enjoys spending time with his partner and their Miniature Pincher, and he stays active training with CrossFit, and engaging in a variety of social sports (badly). He ran his first (and only) marathon in 2010. Michael loves to travel, and to indulge in delicious food and good wine at the many fabulous restaurants right here in D.C. He has a love of movies and TV, including an unhealthy obsession with anything produced by Bravo.